This course is aimed at anyone who has a duty of care for, or comes into contact with, adults in need of care and support, either as a paid professional or a volunteer. This includes, but isn’t limited to, those that work in domiciliary care, the NHS, community centres, prisons or with a family member at home, and sets out the roles and responsibilities everyone must undertake to protect an adult’s right to live in safety, free from abuse and neglect. 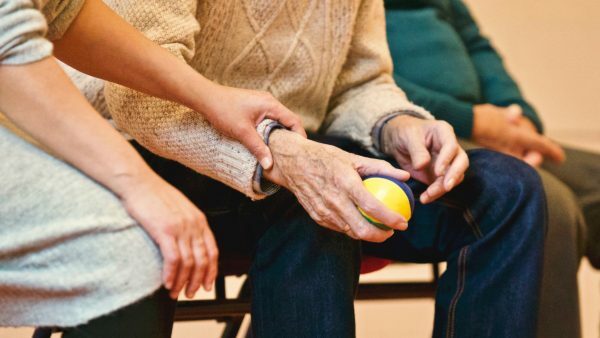 You and the organisation you work for must take appropriate and proportional measures necessary for the protection of adults in your care, while still ensuring they are supported and empowered to have control over how they want to live their lives and this course can bring you one step closer to being able to do this. This means that whatever the circumstance, you and the organisation you work for must take appropriate and proportional measures necessary for the protection of adults in your care, while still ensuring they are supported and empowered to have control over how they want to live their lives. During this course you will hear many facts, figures and details surrounding the risk to adults in need of care and support, the types of abuse suffered and key safeguarding legislation put in place to minimise the abuse of adults with care and support needs. By the end of this course, you will have learned a better understanding of safeguarding principles and be able to apply them to your role. This includes being able to define the key terminology in relation to safeguarding; identify the principle laws that relate to safeguarding and why they have been put in place to minimise abuse; recognise and respond to the ten types of abuse suffered by vulnerable adults; identify and report concerns of abuse or neglect; describe your role, responsibilities and boundaries; ensure people are supported and encouraged to make their own decisions and give informed consent, and finally manage the environment to minimise the risk of abuse.